This book is an introductory account of instabilities in plasma. It concentrates on laboratory plasmas, such as those encountered in fusion research, and the space plasmas studied in physics of the magnetosphere and solar atmosphere. This account bridges the gap between a graduate textbook on plasma physics and specialist monographs. An important feature is the stress placed on the similarities between astrophysical and laboratory plasmas, which are traditionally regarded as quite separate. The natural way in which the author unifies the treatment gives a wider perspective to the subject. Professor Melrose is an expert in plasma astrophysics, and has already written a two-volume book on that topic. 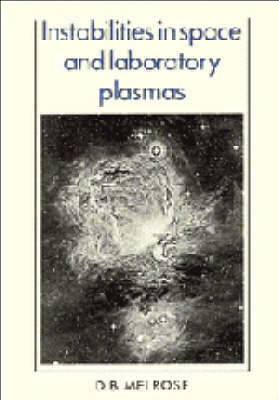 "I recommend this book to every space physicist who deals with or is curious about plasma instabilities." E.O.S.